MixedBag is another development studio gearing up for its Nintendo eShop debut, having announced its intentions in early 2014. 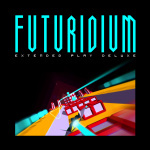 One of its planned releases is the intriguing forma.8, but first up will be Futuridium EP Deluxe, which is increasingly close to its Wii U arrival. The studio also followed up on queries around the New 3DS version, which will utilise the upgraded portable's Unity support - it's progressing well but needs a little longer in development. Are you looking forward to trying this one? Looks a bit like SpeedX3D or whatever it's called. Is there a multiplayer mode? Might check it out when it comes to 3DS. It's got my interest. Reminds me of games from 1993 like cybermorph (jaguar), starfighter (3DO) silpheed (Sega CD) annnnnd - what's the other one??? - oh right! Star fox! 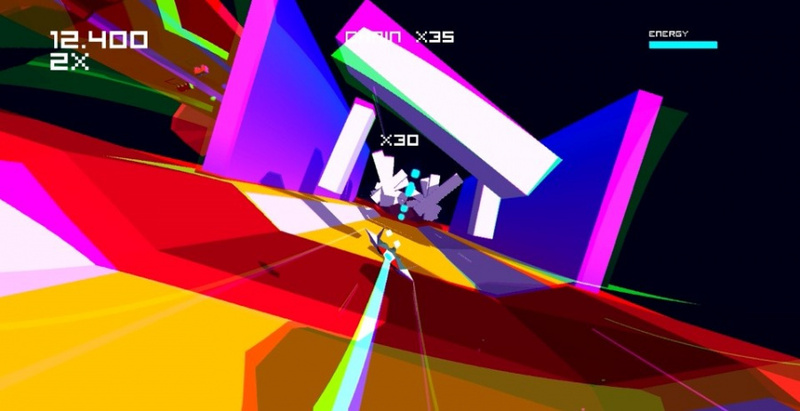 Back when polygons were all the craze. Looks like something tailor made for me. Looking forward to it. Kinda reminds me of the look/style of the original Star Fox on SNES. I can still imagine what a modern version of SNES Star Fox could look like running in 1080p, 60fps, with a near infinite draw distance (or basically no visible popup/pop-in), and a really high poly count on the models (like actually fully 3D modelling the windows and stuff on the buildings on Corneria for example), but still mostly all flat-shaded and basically everything else the same from a design and gameplay point of view. I think it could look visually stunning (striking), and I'd honestly rather play that than the new Star Fox Zero, based on what I've seen. Now THAT would get me excited about a new Star Fox game. This game has a lot of promise, especially with a physical release on PS4 and Vita on the horizon! May get Wii U version but I'm mostly interested in the new 3DS version ,this is the one of those titles that will look awesome in 3D looking forward to it.., hopefully there are online leaderboards for replay value, fingers crossed. I love Uridium, but this doesn't look much like it. Still looking forward. @elric257 this is on the vita then why I need the new 3ds version or get both. Is this going to release in North America? I don't believe a North American release has been reported anywhere so I'm a bit curious. There was a game on philips CDi similar to this. I'll wait for the 3DS version. Want to see this in 3D. Looks good. I'll get this at launch to support the dev as well. This looks like the old 1982 Star Wars Arcade Game. Wait, so it's only for New 3DS? Too bad. It looked fun to me, but I guess I can't get it until my regular 3DS needs replacing. @ReshiramZekrom It's not really a New 3DS exclusive though as it'll be releasing on the Wii U as well. When is Lifespeed coming for New 3DS? Super interested in playing this game in 3D. Count me in! @Nintendian check Weeman studio's website.